In part two of this series on using DSLR cameras for capturing high-definition video I teased to the new D5100 camera coming from Nikon. It’s here … and my favorite little camera store here in Dallas had one. Now it’s mine. 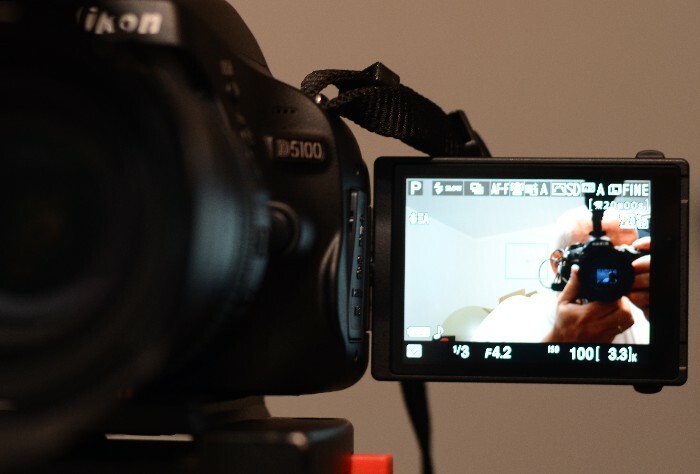 What drew me to the new unit is the variable-angle LCD monitor which will make shooting my own stand-ups a snap. 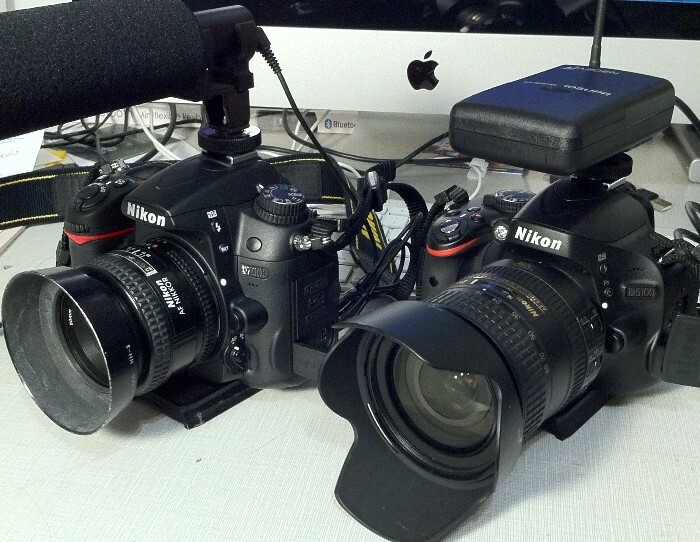 And the introduction of full-time-servo autofocus (AF-F) to the HDSLR line when capturing video. The D5100 loses the additional memory card slot that the D7000 has and overall it is a smaller and lighter camera than the D7000. What kind of chapped my back side is that the D5100 uses a different (smaller) lithium-ion battery than the D7000 so another backup will have to be purchased instead of just being able to share between the two bodies. 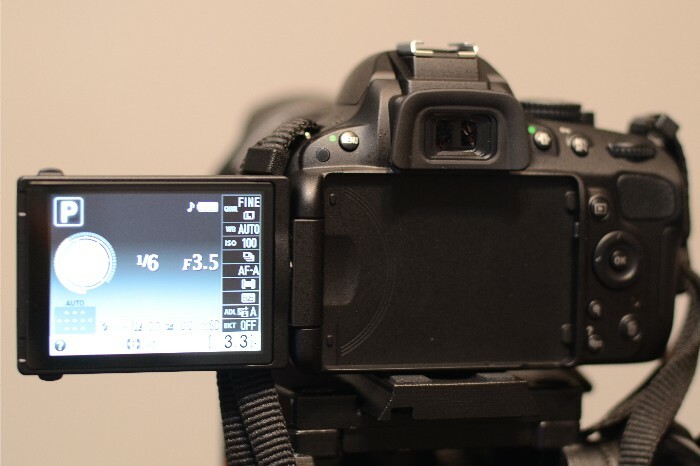 The 5100 also loses the top LCD information display found in many of the higher-end Nikon DSLRs. Instead this information is displayed in the viewfinder and the main LCD panel that swings out from the back. This monitor is about the largest Nikon has put on a DSLR yet so accessing the information, even though the field is crowded, is a snap. An external mic input is included on the D5100 as on the D7000 and while I was at the camera store I purchased a second Bogen quick-release tripod mount for my new second body. 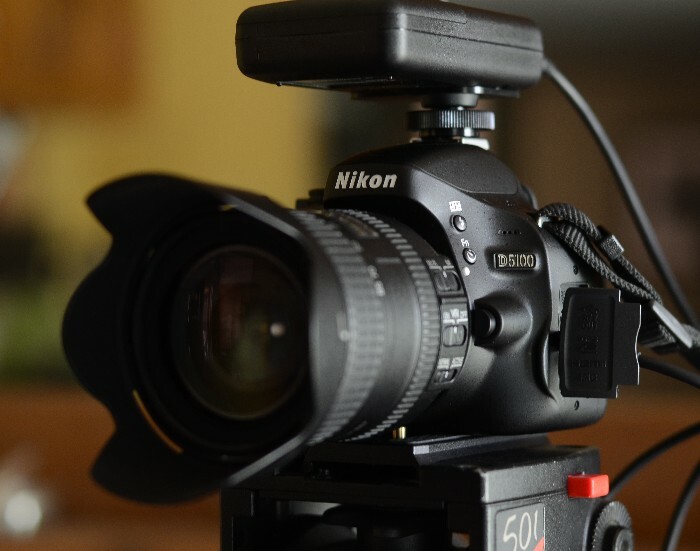 The D5100 loses a few frames per second in the digital still side of its functionality but the new features – and lower price point – make it a worthwhile companion for the multimedia producer. For those who do not need the continuous shooting speed a pair of D5100 bodies in the kit will more than suffice as both it and the D7000 use the same CMOS DX sensor for capture (16.2 megapixel). In my hands, the first thing I noticed about the D5100 is that there is no switch to select between auto- and manual focus. This is now accomplished via the camera menu and the (newer series) lens bodies. My D-series AF lenses will only work in manual focus mode on the new camera but many using the new HDSLR technology are shooting in manual focus anyway, some via new follow-focus rigs. In addition to the focus modes, the D5100 offers four AF-area modes: Face-priority, Wide-area, Normal-area and Subject-tracking AF. I will admit I did have to dive into the owner’s manual more on the D5100 than I did when first getting my D7000. 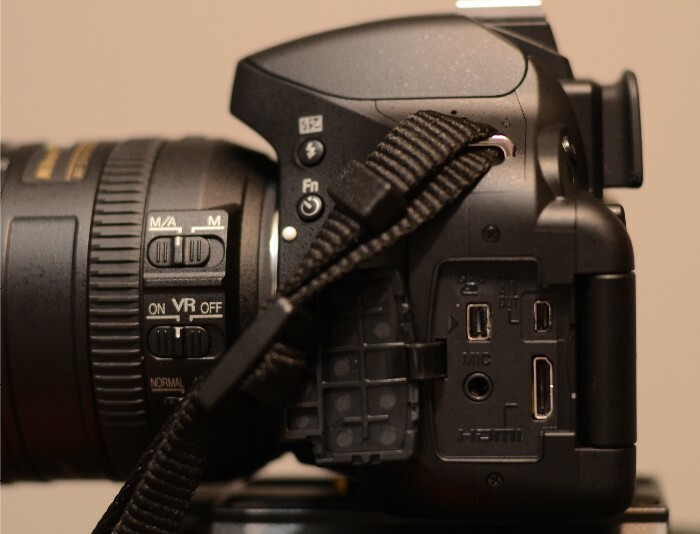 While the D5100 may be less intuitive out of the box than the latter there are fewer buttons and switches on the body itself to fumble over leading to accidental setting changes. 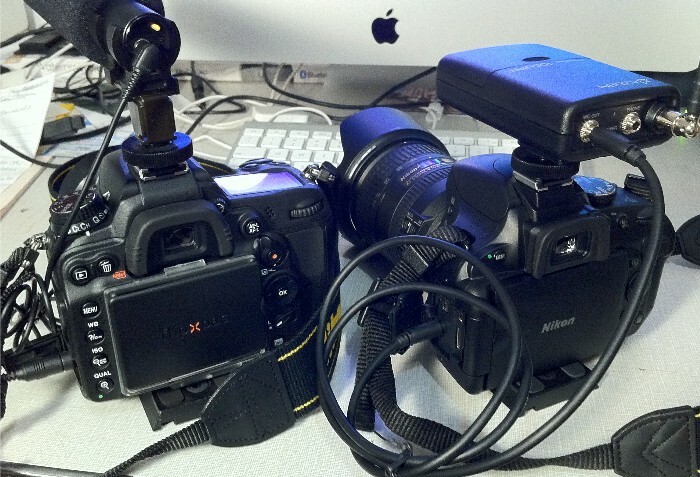 The D5100 is perfect for the “one-man band” production crews such as myself. I can already see that I will also need to invest in a remote control device for the Nikon, I just have to decide between wired and wireless.